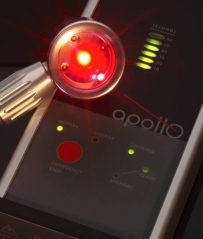 There is more published clinical and physiological evidence supporting the use of laser and LED photobiomodulation for soft tissue injuries and joint conditions than any electrotherapy modality as traditionally used by Doctors or Physical Therapists. It’s considered the safest “electrotherapy” available by research experts. Treatments sessions are quick, simple and comfortable.